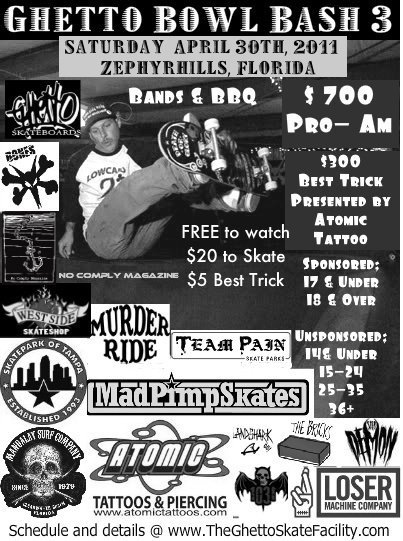 We changed the name of the “Events” page to “Florida Skateboarding Events. This page is a comprehensive resource for all of the Contests, Demos, and other skateboarding-related events all over the state of Florida. Check back often, as we will be updating this page on a regular basis. Demon Seeder, Nick Murphy, is this week’s “Sunday Night Sequence” over at Lowcard Mag. Hide your mailboxes people…cause Nick Murphy is on a rampage lately! Here’s a short clip from Demon Seed Skateboards of the ripping that was going on yesterday at the April Pools Day contest at Orlando Skate Park. Check back first thing tomorrow morning for a ton of photos of the contest! Orlando Skate Park (OSP) is having a pool skating contest! April Pools Day is April 2nd…shredding in the pool, live music courtesy of DJ Atom Tobias, prizes for the winners…sounds good! 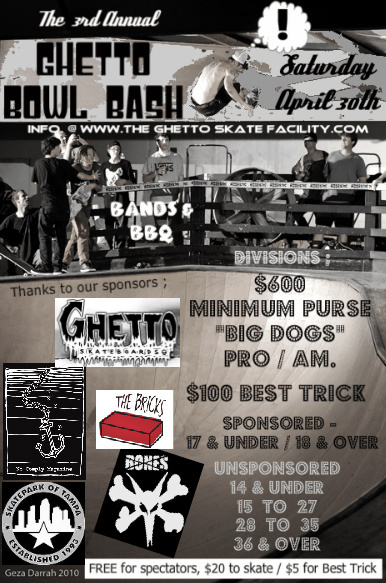 Get signed up or come skate the park and stick around and watch the contest. Click the flier to enlarge for all of the details. Nick Murphy Officially Killed The Maitland Brick Quarters! Nick Murphy, Bluntslide through the corner on the infamous Maitland Brick Quarters. Click on the image above to see the Sequence!